ONLINE MEMBERSHIP:Please read through to accept. 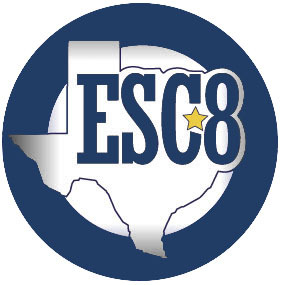 Online Membership Form: Adopted By Region 8 ESC Board February 26, 2015 TIPS Membership Agreement: For use when an Interlocal governmental agreement is not required by statute to be approved by the governing bodies of the entities. (NOT VALID IN TEXAS FOR GOVERNMENTAL AGENCIES) Purpose: This agreement, when executed by the parties, permits the member entity, when permitted under applicable purchasing cooperative statutes of the home jurisdiction of the member entity, to make lawful purchases though TIPS contracts under the same terms and conditions and proposed pricing as lawfully awarded by TIPS for the purposes of TIPS or its members. The purpose of the TIPS Program shall be to increase efficiency, effectiveness and to obtain substantial savings for participating school entities or public entities through cooperative purchasing. Disclaimer: Each Member entity is responsible for following their applicable state or federal procurement statutes when utilizing cooperative purchasing agreements, or joint power agreements with another state’s public entities. In addition, the Member is responsible for ensuring the vendor complies with the terms and conditions of the contract and Members are solely responsible for dispute resolution with a non- performing vendor. TIPS will endeavor to provide assistance with vendor relations and compliance to the extent it is feasible. Term: This Agreement (hereinafter the “Agreement”) shall be effective immediately and shall remain effective unless either party terminates this Agreement by providing thirty (30) days written notice of the termination to the other party. The Interlocal Purchasing System Program (TIPS) agrees to: 1) Provide for the organizational and administrative structure of the program. 2) Provide staff necessary for efficient operation of the program. 3) Provide marketing of the program to expand membership, number of vendor awarded contracts and categories. 4) Initiate and implement activities legally required under Texas law for competitive procurement and vendor award process including posting, advertising, collecting proposals, scoring proposals, and award of contracts. 5) Provide members with procedures for ordering, delivery and billing. 6) Maintain filing system for all bidding procedure requirements. 7) Collect fees from vendors and/or other sources to legally compensate TIPS and by association, the lead governmental entity, Region VIII Education Service Center, as required by law, for the services provided to TIPS members. The TIPS Member Entity agrees to: 1) Commitment to participate in the program by an authorized signature on membership forms. 2) Designation of primary contact and technology contact for entity. 3) Commitment to purchase products and services from TIPS Vendors when in the best interest of the entity. 4) Prepare purchase orders issued to TIPS Awarded Vendor and provide the relevant purchase order information to TIPS according to TIPS procedures. 5) Accept shipments of products ordered from Awarded Vendors in accordance with standard purchasing procedures. 6) Pay awarded vendors in a timely manner for all goods and services received. 7) Follow the terms and conditions of the awarded contracts. 8) Report to TIPS if awarded vendors fail to perform as contracted. This Agreement, inclusive of its references, represents the entire, agreement between the Member and TIPS. No other agreements, verbal or otherwise, are valid unless agreed by the parties in writing or through electronic communication. Electronic communication may include registering with TIPS via the TIPS website and agreeing to terms and conditions through that registration process or updates thereto. This agreement may be modified from time to time, upon which the parties may agree to the changes in writing or by an electronic communication as described above. General Provisions: The Parties agree to comply fully with all applicable federal, state, and local statutes, ordinances, rules, and regulations in connection with the programs contemplated under this Agreement. This Agreement is subject to all applicable present and future valid laws governing such programs. If any term(s) or provision(s) of this Agreement are held by a court of competent jurisdiction to be invalid, void, or unenforceable, the remainder of the provisions of this Agreement shall remain in full force and effect. The Parties to this Agreement expressly acknowledge and agree that all monies, if any, paid pursuant to this Agreement shall be paid from budgeted available funds for the current fiscal year of each such entity. No Party to this Agreement waives or relinquishes any immunity or defense on behalf of themselves, their directors, officers, employees, and agents as a result of its execution of this Agreement and performance of the functions and obligations described herein. Choice of Law and Venue: This agreement and any addenda or other additions and all contracts or awards resulting from this procurement process, however described, shall be governed by, construed and enforced in accordance with the laws of the State of Texas, regardless of any conflict of laws principles. Any Proceeding arising out of or relating to this procurement process or any contract resulting from or any contemplated transaction shall be brought in a court of competent jurisdiction in Camp County, Texas and each of the parties irrevocably submits to the exclusive jurisdiction of said court in any such proceeding, waives any objection it may now or hereafter have to venue or to convenience of forum, agrees that all claims in respect of the Proceeding shall be heard and determined only in any such court, and agrees not to bring any proceeding arising out of or relating to this procurement process or any contract resulting from or any contemplated transaction in any other court. The parties agree that either or both of them may file a copy of this paragraph with any court as written evidence of the knowing, voluntary and freely bargained for agreement between the parties irrevocably to waive any objections to venue or to convenience of forum. Process in any Proceeding referred to in the first sentence of this Section may be served on any party anywhere in the world. Remedies: The parties shall be entitled to exercise any right or remedy available to it either at law or in equity, subject to the choice of law, venue and service of process clauses limitations agreed herein. Nothing in this agreement shall commit the TIPS or the Education Service Center Region VIII to an arbitration resolution of any disagreement under any circumstances. Any issues not resolved hereunder must be referred to non-binding mediation to be conducted by a mutually agreed upon mediator as a prerequisite to the filing of any lawsuit over such issue(s). The parties shall share the mediator’s fee and any associated filing fee equally. Mediation shall be held in Camp County, Texas or a site agreed in writing by the parties. Alternative Dispute Resolution: Prior to filing of litigation, the parties shall select non-binding mediation as a method of conflict resolution for issues arising out of or relating to this procurement process or any contract resulting from or any contemplated transaction. The parties agree that if non-binding mediation is chosen as a resolution process, the parties must agree to the chosen mediator(s) and that all mediation venue shall be at a location in Camp, County, Texas agreed by the parties. The parties agree to share equally the cost of the mediation process and venue cost. Authority: I affirm that by submitting this agreement to TIPS, that I am an authorized signatory to act for and bind the entity I am registering at this time. Please select Change of Venue County(Y/N). If an interlocal agreement is needed click the box below.